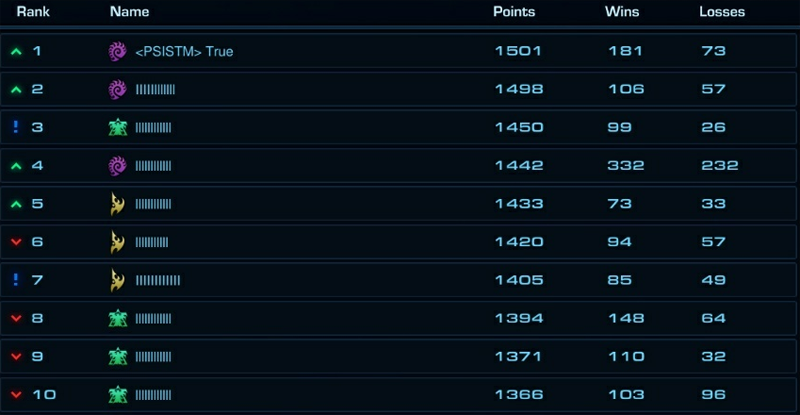 Using lower case Ls and capitalized Is to create barcode names to remain anonymous sort of became a trend in competitive StarCraft II, and sometimes it results in perfect ladder moments like this one above. Currently almost everyone in the Korean top 100 and everyone, except the number one player, in the Korean top 20 is represented by a barcode. They’re all hiding themselves so other players won’t learn their tactics and playstyle. As a pro player it’s quite difficult to practice new strategies for tournaments when everyone’s streaming and watching, so that’s where a name like |||||||| helps. There are ways to figure out who’s who, but when someone’s in the middle of laddering, it’s not an easy thing to do. Otherwise, big respect for True for not just being in the #1 spot on the ladder but being brave enough to play with his real nickname.